Track made from scratch by Dave Ott. 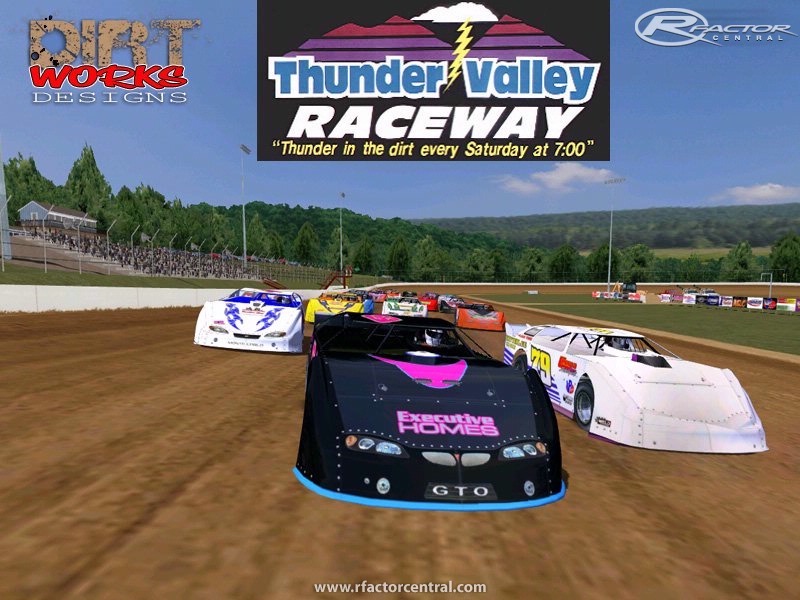 Thunder Valley Raceway is located in the beautiful Laurel Mountains of Somerset County, Pennsylvania. Thunder Valley is a half mile banked clay oval. There are currently no setups for Thunder Valley Raceway by DirtWorks Designs. Add a Setup.